1 Red apple - possibly a Royal Gala variety? 1 Basket of eggs - none are cracked....we checked! 3 Bows in gingham...how quintessential?? 1 Eggplant - it's not white, and is not chicken feed....this name requires more thinking on my part! 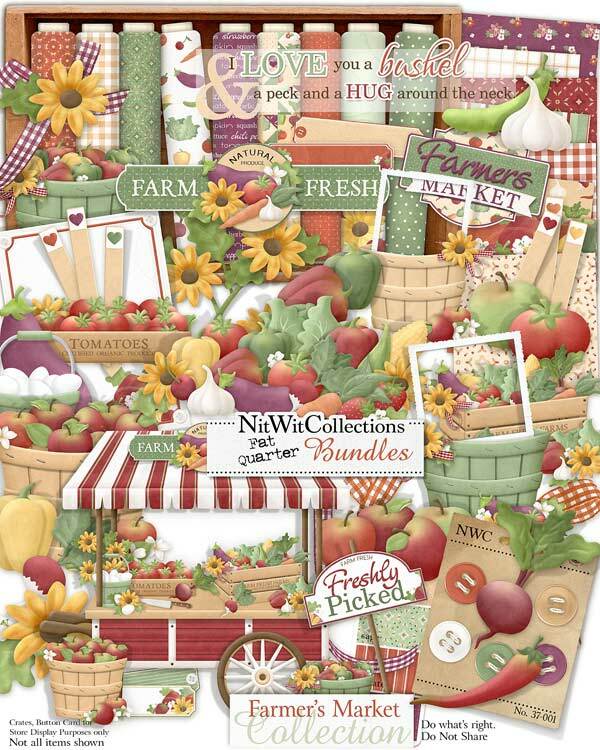 1 Wordart - "I Love you a Bushel....."
1 Wordart - "Farmer's Market"